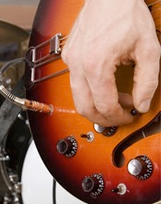 ....... to my world of guitar and bass fixing, sweetening, tweaking, modifying and general miracle working. 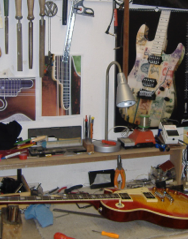 So if your Fender needs fretwork or your Gibson needs new Gotohs; welcome to the home of Beej Guitar Repairs, definitely the nicest guitar repairer in Leeds .. possibly even all Yorkshire!! (I didn’t write that bit). 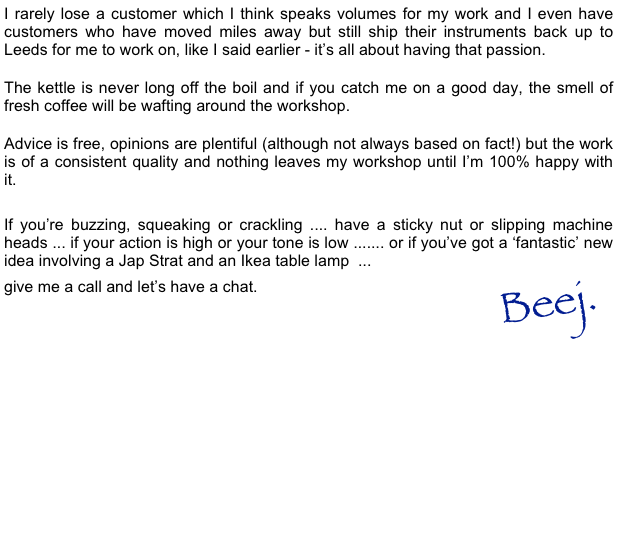 I’m Ben Shand, a Leeds based luthier and I’m passionate about getting the right results. 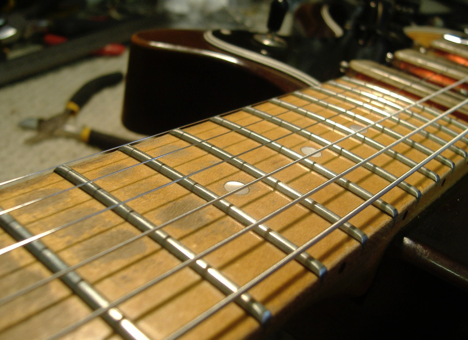 Sometimes, simply stopping a guitar string buzzing or a fret rattle can end weeks of frustrated playing. For another customer it might mean re-profiling a modern neck to match their 1962 original to make them grin while they play. ... but no two jobs are the same (especially not some of the weird experimental stuff!!) and that’s what makes my day interesting.